Harabala Patanik, wife of eminent freedom fighter and one of the founders of C.P.I. in Odisha Late Raghunath Patnaik of Olasingh village in Khurda district passed away at 5.45 a.m. on Friday ( 6th December ) at Bhubaneswar. She was 92 and has left behind her 3 sons and 8 daughters, a large number of grand and great grand children. Daughter of a respectable Sarbarakar of erstwhile raja of Nayagarh late Banchhanidhi Patnaik , Harabala, though had no formal education, became very much active socially and politically after her marriage with Raghunath , who had left his education while a student of Ravenshaw College , Cuttack to join the freedom struggle. Subsequently when her husband joined the Communist Party of India under leadership of Bhagabati Charan Panigrahi as one of the founder members, she boldly faced harassment of the police. The comrades while in underground use to come in deep nights through a secret door while her husband was away in party mission and she had to cook for them without hesitation. According to many veteran leftist leaders, she was not only feeding them with good food at the odd hours of night, she was also packing enough dry foods and rice etc, for them to sustain for weeks while underground. She had entertained with tasty food to leaders like Naba Krushna Chaudhury, Dr Hare Krushna Mahtab, Manmohan Mishra, Godavarish Mohapatra, Godavarish Mishra, Banamali Patnaik , Prananath Patnaik and many others. Besides taking care of all her nine children she also took care of seven children of her sister-in-law Bindodini who died at a young age. She was a mother figure for all the local people and was loved and respected by one and all. Harabala’s eldest son Prasanta is a media person of repute while her second son Pravat is an entrepreneur in Andhra Pradesh. Her third son Dr Pragati who was serving the deprived people of Nagaland had fell victim to the bullets of separatists and fourth son is engaged in business. 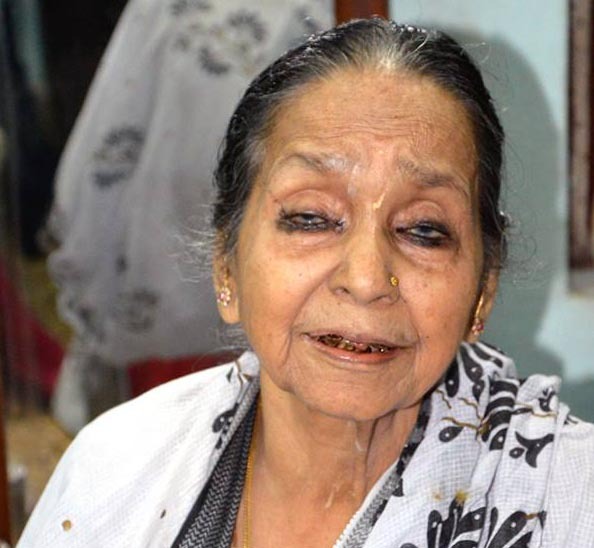 Her eldest daughter Prativa who was married to freedom fighter and ideal teacher Kanhu Charan Patnaik expired two years ago. Rest of her children are well established in their own fields. When her body was taken for cremation a large of people from Olasingh and adjacent villages joined to pay their last respect to the departed soul.